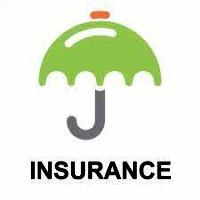 The Indian Insurance Sector has seen considerable growth in the past two decades. Many national and international Banks, Financial Institutions, and Insurance companies have established offices in different parts of the country. Thus, the need for proficient professionals in the fields of Banking, Financial Services, and Insurance is very high. Owing to a large databank of suitable candidate profiles, we undertake hiring for all job roles such as Accountants, Insurance Agents, Cashiers, Financial Advisors, Financial Analysts, Clerks, etc.